Ben reveals why he was 'born an Engineer', and how he believes that Digital Design approaches and tools will help us make sense of an increasingly complex world. Hi Ben, please tell us about yourself. I’m a Structural Engineer and a member of Eckersley O’Callaghan’s Leadership Team in the London office. I also direct our Digital Design group. I’m passionate about everything I do – engineering, architecture and design. My father is an engineer and my grandfather was an engineer at Rolls Royce making complex parts for airplanes. I have always been making and designing things, and used to go on site with my father from a very young age. That’s something I’m sure I couldn’t do with my children nowadays, probably for good reasons. So to answer your question, I think I was born into engineering. Which aspects of engineering do you find most rewarding? I enjoy both coming up with concepts and detailing complex connections equally. It's about fully understanding a problem and then using your ingenuity to come up with solutions. I particularly enjoy scripting (due to the logical thought process required) and sketching (because I've always enjoyed drawing). What led to the formation of the Digital Design Group? I set up a team at Arup London to develop digital design skills, and I also developed a training program which is still running. When I moved to Eckersley O’Callaghan, this was something I wanted to lead and to take a step further, building on the already great pool of skills and experience which exists here. As a structural and facade engineering firm, I think these skill are very relevant for the type of complex work we do and enable us to add real value to a project by looking at designs holistically. What does the Digital Design Group do? Maybe I should first give you my thoughts on what Digital Design is. 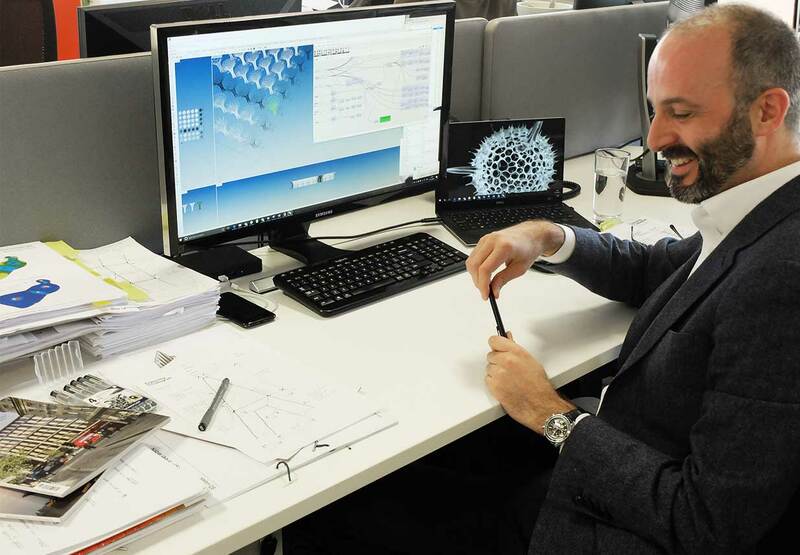 To me it encompasses such things as parametric modelling, optimisation, scripting, BIM, visualisation and much more. It's as much about how we do things, the process and tools, as it is about what we ultimately produce. It’s about using the computer to do more, design more: better, faster, cheaper. So to answer your question – we look for opportunities where we can use our skills in smart ways, adding value to the projects. This might be a parametric model to develop a multitude of structural options to present to the architect or client, a script to categorise cladding panel types by curvature and fabrication process, or a workflow for connecting design models to analysis models and then optimisation. Any advice for designers interested in the Digital Design process? Have a go, don’t wait for that ideal project to come along, start with something simple and before long these tools and techniques will be an integral part of what you do. What you can achieve will then be a million times better than before.